Who invents these street names? 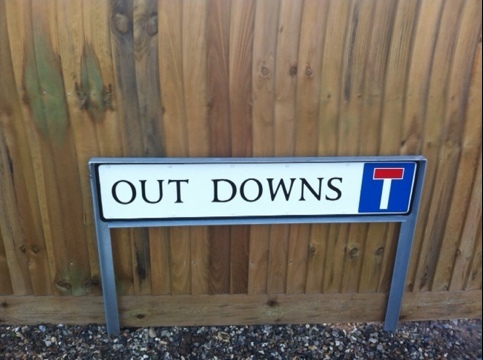 There is a new housing estate in Deal called Out-Downs. Seriously? Would Acacia Drive or Hyacinth Avenue or Crocus Walk have been so bad? This street name reminds me of Out-With in The Boy in the Striped Pyjamas. Not a great association.